Restrain yourselves, ladies! Don't look into his eyes. A man who engages in promiscuous affairs. Despite the rather one-dimensional definition that has become attached to his name, just a little reading into the life of Casanova shows that he was anything but an empty-headed love-machine. 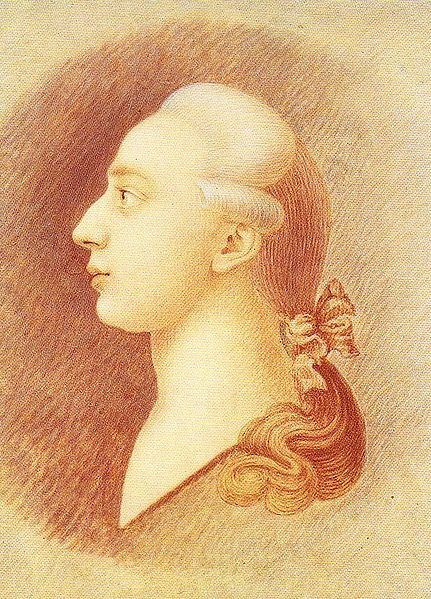 In fact, to call him an adventurer is a profound understatement - Casanova was a veteran traveller who moved within the beau monde of his day, a bel esprit who was variously a clergyman, a lawyer, a medic, a gourmand, a soldier, a gambler, a violinist, an entrepreneur, a spy, a philosopher and a writer. And yes, he seduced women - lots and lots and lots of women. Thus, despite being a profound intellect and polymath whose cerebral pursuits, some say, utterly eclipse his salacious bedroom antics, Casanova's name has become synonymous with charismatic cads and promiscuous wastrels the world over. His infamously captivating beauté du diable persists, however - in 2010 the original copy of his memoir Histoire de Ma Vie (Story of My Life) sold for $9.6 million, a book so shockingly raunchy that it was only available in English in bowdlerized form until 1960. Have you read Histoire de Ma Vie? Do please seduce us with your silky words by leaving a captivatingly charming comment in the box below. Don't shoot the messenger ed, but the historical Casanova, as opposed to the mostly mythical lothario that legend has bequeathed to us, once destroyed any chances of a long term relationship with the love of his life when, during what he later described as a ‘badly-timed spontaneous personal experiment,’ he was unable to extricate his big toe from his nostril before she came back from the hotel lobby. Don't believe everything you read about Casanova in The Enquirer, C.
Wasn't he accused of witchcraft at one point? If I remember correctly, he was imprisoned, but escaped and went to France (Paris?) which is where he became famous. In amongst all his other shenanigans, he did find time to be quite an occultist, and ran afoul of the law for numerous reasons. I thought, ultimately, the biggest reason for his fugitive status was the sheer amount of money he owed, but I wouldn't be surprised if there was also a large bevy of Catholic inquisitors and aggrieved husbands lusting for his blood too. He really was was quite the adventurer!